In Evansville and throughout Indiana, the lawyers of Danks & Danks offers more than 50 years of combined service to help those in need of personal injury representation, criminal defense or family law advocacy. We know that these are the areas of law that most often arise in people's lives. So, we have built our practice around these types of cases so that we are able to serve people's needs when they need help the most. Our commitment to serving the needs of the people of our area has led us to gaining extensive experience in our local courts. Knowing the courts and the attorneys who serve in them gives us the ability to tailor our strategies to what we have seen work in past cases. Those decades of working locally has also given us the opportunity to build a solid reputation for being able to produce positive results for our clients. That reputation is known in the courts and in the community generally. Many of our new clients come to us through referrals from people we have been able to help in the past. Let us continue that tradition of service with you. 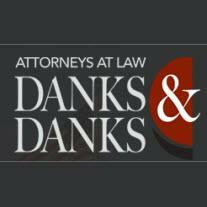 For representation that can help you with cases involving personal injury, wrongful death, criminal defense or divorce, turn to Danks & Danks. To schedule a free initial consultation, call 812-647-6687 or contact us online.